We have all heard the myths about social housing. It’s for people on benefits and immigrants. Let’s also not forget those irreverent single mums, who have endless babies to get ahead on the housing list. That’s alongside people who are perceived as somehow cheating the system, right? WRONG! Regretfully, these misconceptions are widely popular in our society but could not be further from the truth. Social housing exists to serve a socio-economic cross-section of society. For a start, my family and are the recipients of excellent social housing. This functions to bring communities together by getting them involved in the decision-making process. The G15 is a collective voice of leading organisations in the housing sector. Their mission is to tackle the housing crisis by setting out a number of actionable proposals. This will hopefully increase the chances of Londoners being able to afford to live and work in the capital. Furthermore, the G15 wholeheartedly recognise that without this initiative, the housing crisis will only deepen. Their Offer to London sets the tone for a brighter, inclusive future, and one that puts communities in focus regarding housing policy. 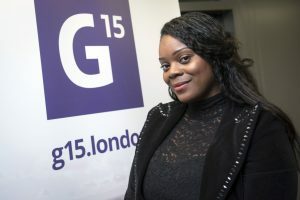 My presence at the G15 autumn’s Offer to London event gave me an in-depth insight into exactly what housing associations are. Their responsibility to residents and the investment they make in communities. But seriously, I had underestimated the importance of my own voice. I decided to create a speech that not only focused on the subject matter but aimed to project authenticity through a compelling first-hand account. For example, explaining what it felt like to live in social housing. To invite a conversation that would create further dialogue and challenge the narrative and stigma attributed to it. “Offer to London” Launch event by G15, a group of London’s largest housing association. When Tom Peyton (YMSN Commercial Director) and I first arrived we were given a big welcome by people who genuinely wanted to engage and create a buzz around this all too often divisive topic. Meeting people who can facilitate change is always welcome, as was the general feeling of enthusiasm that permeated the room. After I spoke, everyone appeared to appreciate what I had to say and congratulated me on my speech. But would it have any serious resonance and longevity, or would there remain a sense of pervasiveness that would not alter the public’s insouciance? I made numerous contacts who followed up with me and asked further questions regarding my personal experience of social housing. These included; the leader of Camden Council, the London Deputy Mayor and the chair of the G15, Paul Hackett who is also the CEO of Optivo. To my delight, Optivo and the G15 issued a press release stating how residents of social housing were the real proponents of disseminating fact from fiction. This was achieved through a promotional video which my family and I featured in. You can watch it Here. 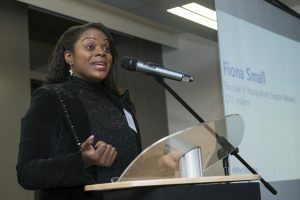 “The undisputed star speaker of the evening was Fiona, a resident who features in the film and who founded the Young Mums Support Network. 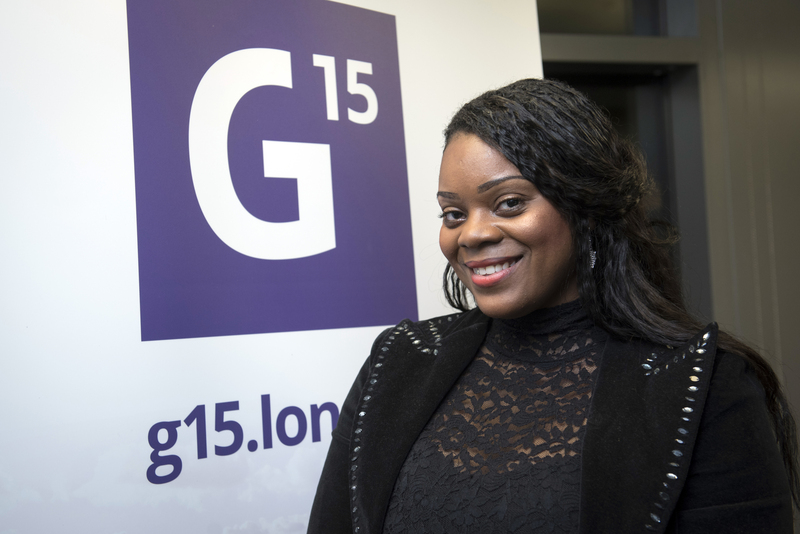 I was thrilled to participate in the launch of the G15s Offer to London. Contributing to this important conversation can only benefit everyone involved in raising the profile of social housing and debunking the many myths surrounding it.